New Dehli, India -- A leader of the youth-wing of the India’s ruling far-right Hindu party, Bhartiya Janata Party (BJP), has claimed that they have set fire on the Rohingya refugee camps in New Dehli on Sunday (Apr 15) early morning. The fire broke out in the Rohingya refugee camps at ‘Kalindi Kunj’ at around 3:30am and destroyed all the 56 camps in the area where around 226 refugees used to live. 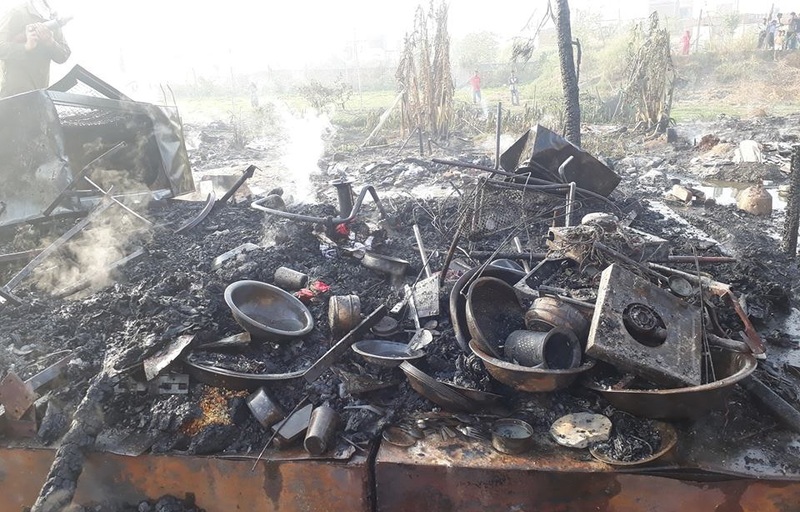 "The fire started at 3:15am and it quickly spread all over the camps within an hour just like somebody had thrown petrol on the camps beforehand. Fire brigades arrived and kept extinguishing fire till 7am. 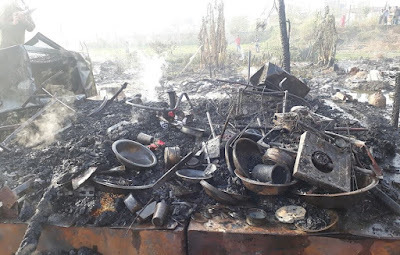 We couldn't save any of our belongings and everything was burnt down. 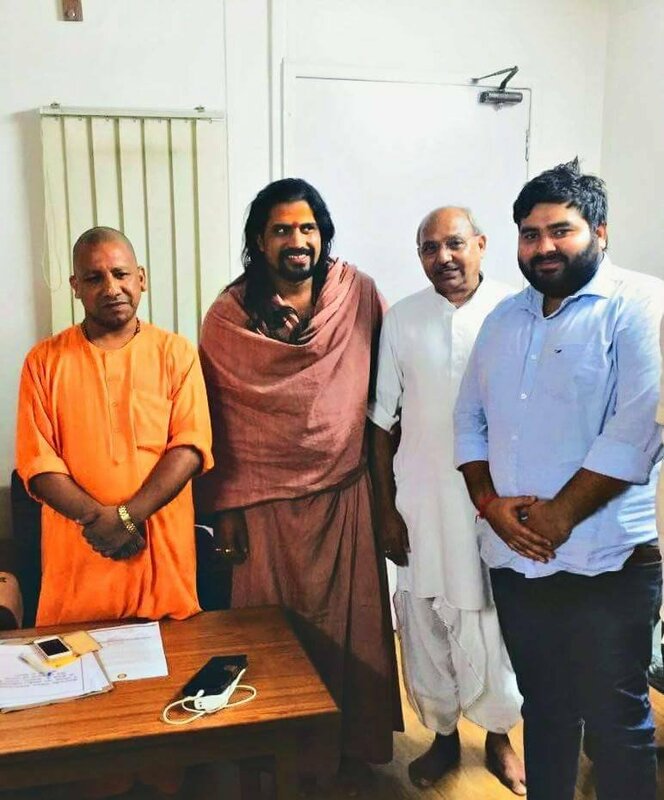 “Now, the Police have given us protections and relocated us to a nearby area. And NGOs are helping us with the basic stuffs,” said a refugee displaced by the fire. 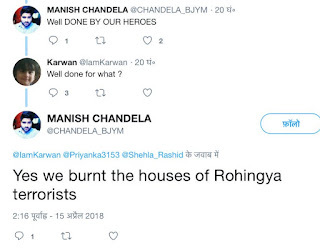 Amidst the Police investigations to find out the cause behind the fire, Manish Chandela, leader of the Bhartiya Janta Yuva Morcha (BJYM), the youth-wing of the ruling party BJP, has PROUDLY claimed on twitter that he and his group have set the fire on the Rohingya refugee camps on fire. 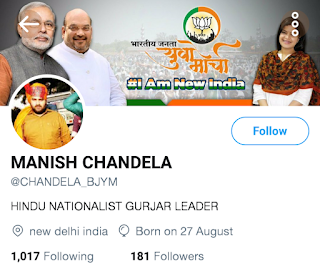 After the calls made by the social and human rights activists to the Police to arrest and investigate him, he later deleted the tweet. However, one more tweet claiming ‘Yes, we did. 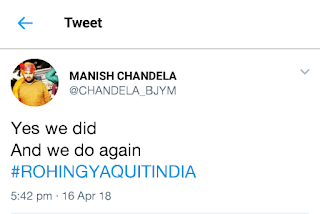 We do again’ with the hash-tag #ROHINGYAQUITINDIA can still be found on his twitter timeline. The rise of BJP and Narendra Modi coming into power have emboldened Hindu extremist increasing violence all over the country and the Rohingya refugees have become targeted by the extremist groups across various states including Jammu and Delhi.